The high-performance IKA T 25 easy clean disperser is the first of its kind for use in research, product development or quality control. 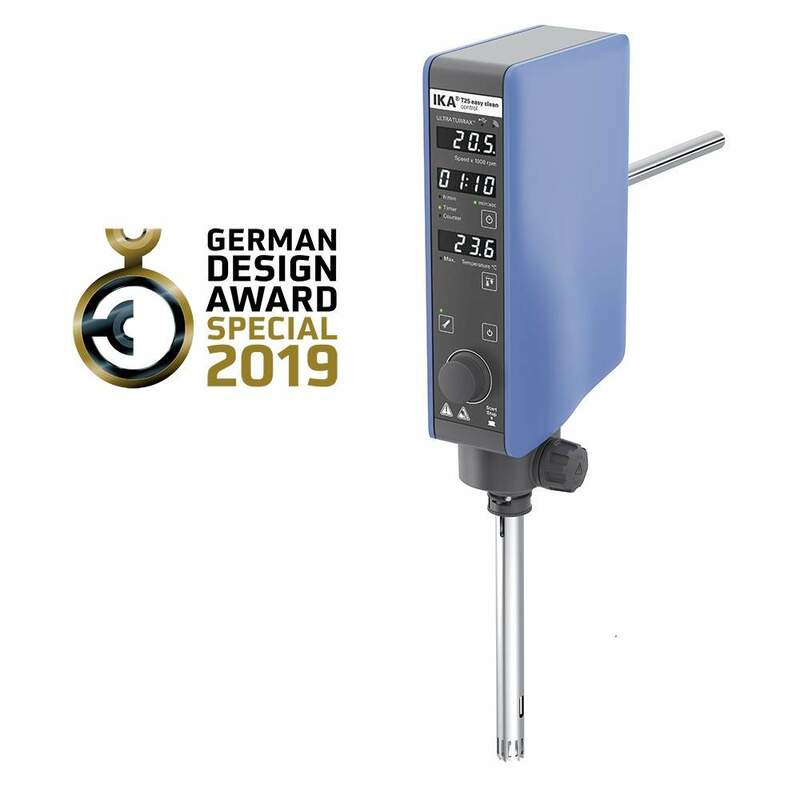 This unique laboratory device has been lauded with the German Design Award 2019 in the Industry category. The disperser, which was launched at Achema 2018, homogenizes samples and emulsifies substances such as cosmetics and suspends paints and coatings. The device has been awarded a “Special Mention in the Industry Category” by the German Design Council for its outstanding design quality. The IKA T 25 easy clean disperser works quietly, efficiently and conveniently. Thanks to the intelligent, user-friendly device design, it is particularly intuitive to use. The associated dispersing tool is designed in such a way that it can be easily cleaned without dismantling the unit, since the rotor can be removed in one simple step. In addition, the new disperser has a specially developed, particularly robust housing. IKA is very pleased with the award as the Special Mention title honours workmanship with particularly successful aspects or solutions in its design. This is great recognition of IKA’s commitment and that of its developers and designers. The international premium prize has been awarded by the German Design Council since 2011. The award ceremony will take place on 8 February 2019 in the presence of 1,300 guests from politics, business, design and the press. It is one of the most important design events of the year aimed at discovering, presenting and distinguishing unique design trends.